Me and my kids we like to watch Japanese animations and one of our favourite animation is the classical one: My Neighbor Totoro which we were watching during the Christmas Holidays. Great animation - wonderful magical creatures. My children, of course, wanted me to make them all when I said I could make a Totoro for them! We went to a yarn shop and my 5 year old son especially liked the Alpaca silk yarn (Austermann Alpaca Silk). Considered done! Now they are ready to be presented. I took Lucy´s patterns and started with Grey Totoro Pattern, tummy I made my own, didn´t follow the pattern. 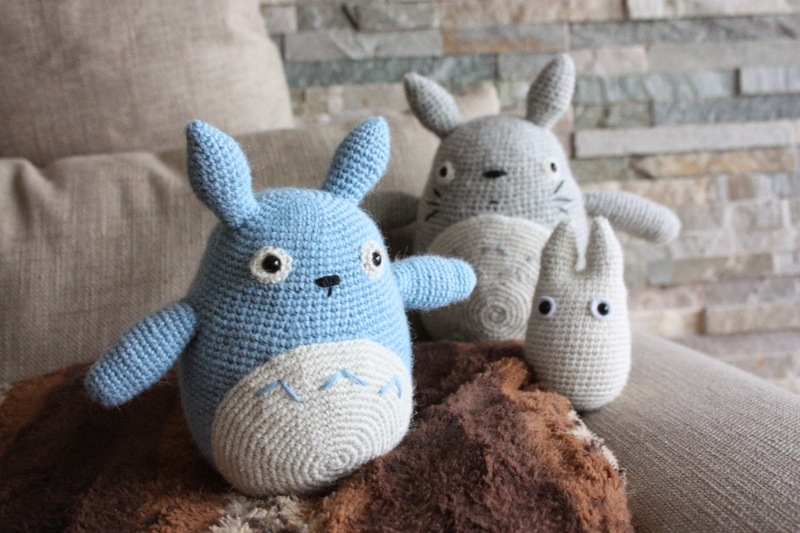 Then I did the Blue Totoro, again, tummy wasn´t done by the pattern, I also changed the ears, took grey´s Totoro pattern. 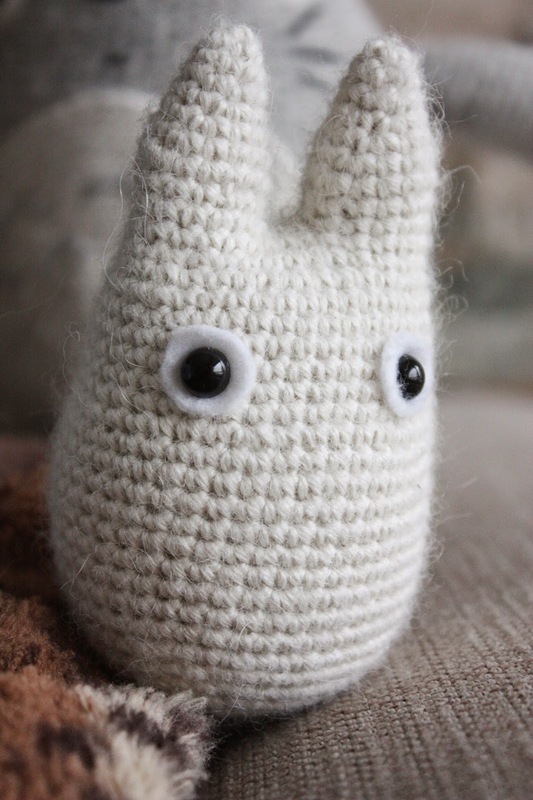 And finally the little White Totoro, I followed the pattern down to ears and then attached the ears into one piece with 3 chainstitches between and continued, a bit different than shown in the pattern. Now I´m glad they are all done - they are lovely and why not to make some animation characters. 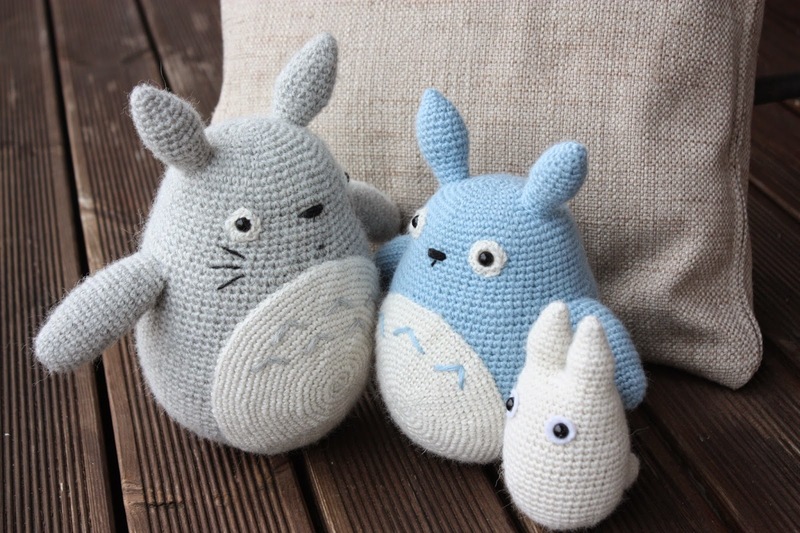 If you´d like to make your own Totoro, could use the mentioned patterns above. I used 2,5mm crochet hook, 10mm black safey eyes a lot of fiberfill stuffing. What a lovely family ! Signature: Do you want to play some games~~~ Visit unblocked games happy wheels | car games for kids | racing game | games online | starcraft online | starcraft web | starcraft | starcraft html5 It will be fun! Thank you! Have a nice day!!! Would you mind sharing your own version of the tummy patterns and the ear pattern for the blue one? They are so cute! Thank you so much! The blue ears look slightly smaller but maybe that's just me :) Totoro is awesome! Love your work. Just one question, how tall an wide are they with à 2,5 mm hook? 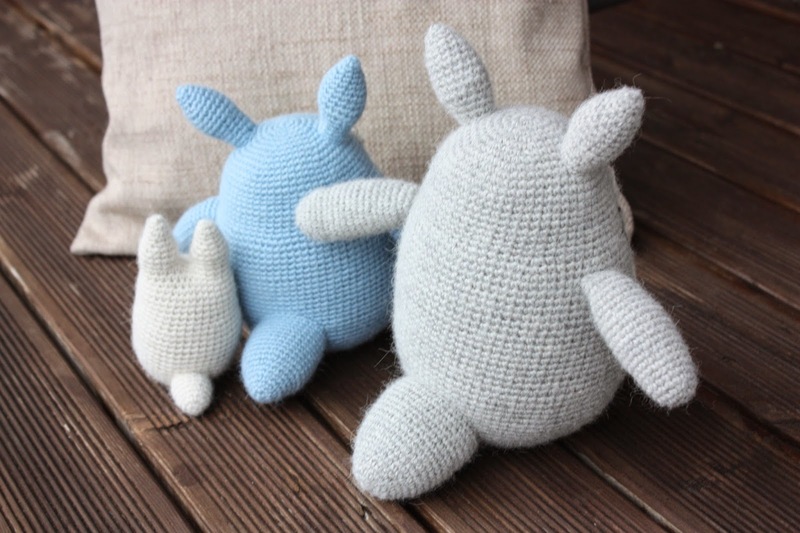 Grey Totoro is 26 cm, Blue Totoro is 23 cm, White Totoro is 11 cm, hope it helps (no wider than 13 cm).